This is close to the other coconut-milk and spice dishes that I do. Simple saute of preferred veggies, add a touch of coconut milk, some water or broth. Easy peasy. I made way too much food for just me - that plate looks like the over indulgent servings found at restaurants today. I made a side of a favorite super fast noodle product, I like to think of them as Top Ramen for grown-ups. I didn't use the broth it made as a soup, but did use some of it added to the coconut milk to cut the thickness and add the lemongrass flavor. These are easy to find in even conventional groceries stores now, on the ethnic aisle. I made this when the kidlets were in Montana on vacation with their dad. It was a week of slowing down, reflection on alone time, making good food by me, just for me, taking the time to make the single serving meal. Since this was just for me - you'll notice the partial and smaller portions of veggies. Simply multiply. It's a play it by ear recipe - add a little this, a little that. Veggies from here ~ spices, too. All of come to think of it. A truly wonderful store with friendly people. 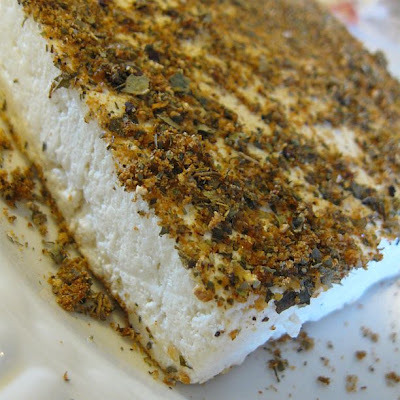 Coat tofu - sear in a pan heated with olive oil. Watch for burning, the spices can burn on the exterior quickly. Removed from pan, set aside. Prepare the noodles, using the broth as extra seasoning with the coconut milk and veggies. Add a little more olive oil to the pan and saute desired veggies, adding salt and additional Thai spice blend. When nicely soft, add a little coconut milk, some of the broth - taste and adjust. Add the tofu back in pan to heat through. 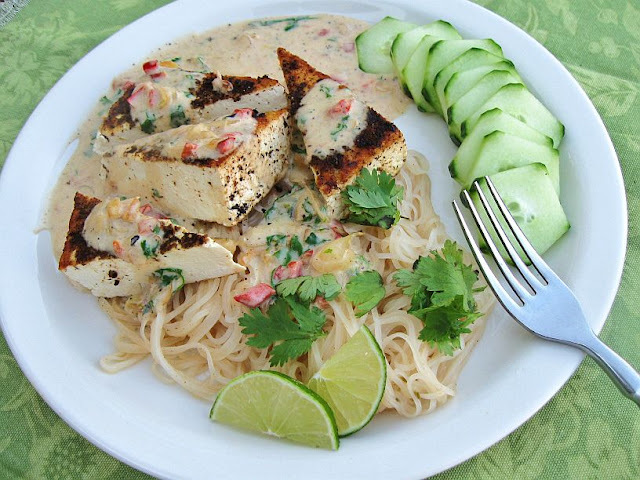 Serve, spooning veggies and sauce over tofu. Just found your blog - this dish looks wonderful! I'm going for it!